I first saw Central City’s offerings in a local cafe, Transcend Coffee here in Edmonton. I thought the woman on the can(‘the one who got away’) was a gimmick and kind of ignored it. I returned to Transcend several times after that and noticed that the Red Racer IPA and Pale Ale were always sold out and being the inquisitive nerd that I am I quickly ran to my favorite liquor store just to be told that Red Racer was completely sold out in Alberta and my window of opportunity was missed for trying it. I eventually tracked down a six pack of the Red Racer Pale Ale in a small store in St. Albert. I heard rumours of Red Racer IPA being available North East Edmonton at a small privately owned store there so I rushed out just to see an empty spot where Red Racer IPA used to sit. I turned to the internet and found out that Central City had expanded to do business with the LCBO out in Ontario. It was at this moment that I realized my beer drinking went beyond just the usual casual weekend drink and deep into obsession. Eventually I found the IPA at Sheraton Suites Eau Claire in Calgary and that first taste was divine. But enough about me, onto Central City Brewing. Central City’s flagship brew out here in Alberta is their Red Racer IPA. One of my absolute favorite beers and I don’t think I’m alone as this beer sells out rather quickly at most stores. Fruity, bright, bitter, citrusy and relatively consistent Red Racer IPA was the perfect flagship beer in my opinion and is a staple out here for any decent pub offering craft beer. More bonus points go to Central City for putting this beer into a can. Cans maintain freshness for IPAs much better than bottles in my opinion and they’re easier to take with you on picnics etc. 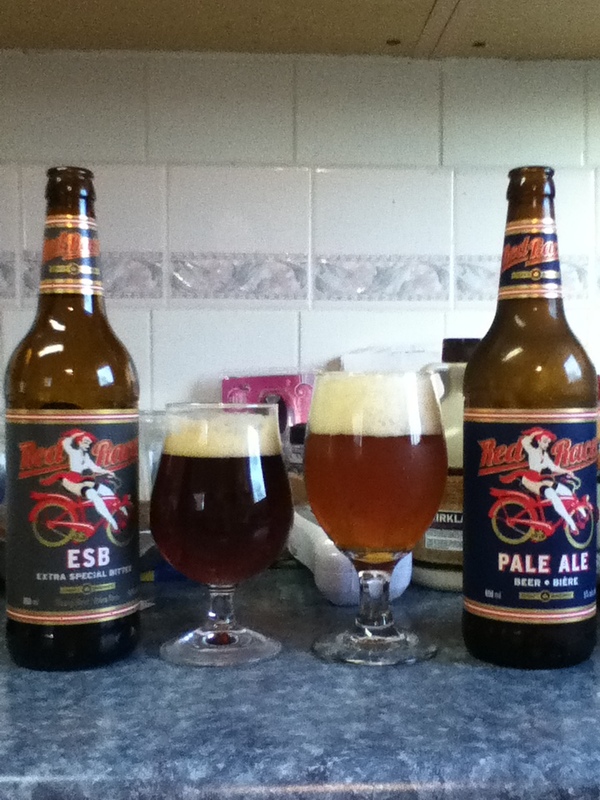 I have recently been able to regularly purchase their ESB, Pale Ale and Pilsner. I suppose a word of caution to the uninitiated the Red Racer beer line is very much a hop forward affair and all of these beer taste like hopped up versions of what is offered by other breweries and while I personally LOVE that others don’t, fairly warned. I’d like to conduct a taste off with Red Racer IPA and the ESB which I didn’t happen to have around at the same time but to my palate the ESB tastes like a maltier version of the IPA. Which is good but maybe not different enough or maybe not subtle enough compared to the offerings from other brewers. Extra Special Bitters are usually bitter but more balanced to the malt side of things but as is popular in the pacific northwest of America, hops are king in British Columbian breweries. 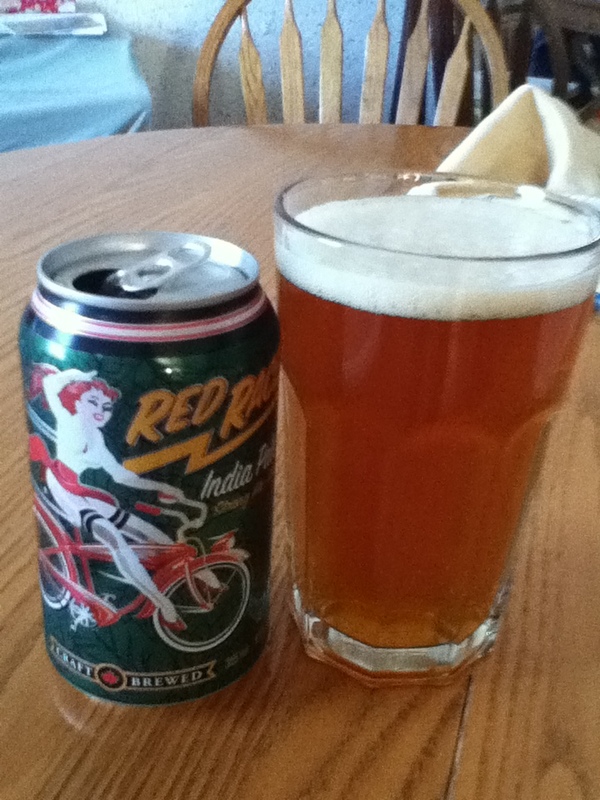 Red Racer Pale Ale is another potential flagship beer for Central City the often over looked cousin to Red Racer IPA the pale is lighter in both malts and hops but has a wonderful, undeniable grapefruit character that is really well balanced and delicious. The malts are balanced to the sweeter side but the end product is nothing short of world class. Red Racer Pilsner. I tried it for the first time recently in a 650ml bomber and it was absolutely wonderful. Pilsner malts are the lightest malts and render the least amount of flavour to beer so balance becomes an issue when brewing a light bottom fermented beer. This pilsner is balanced more to hops but comes off as one of the best tasting low ABV pilsners I’ve had in a long time. Certainly worth an add to the ‘Something More Generic’ list. 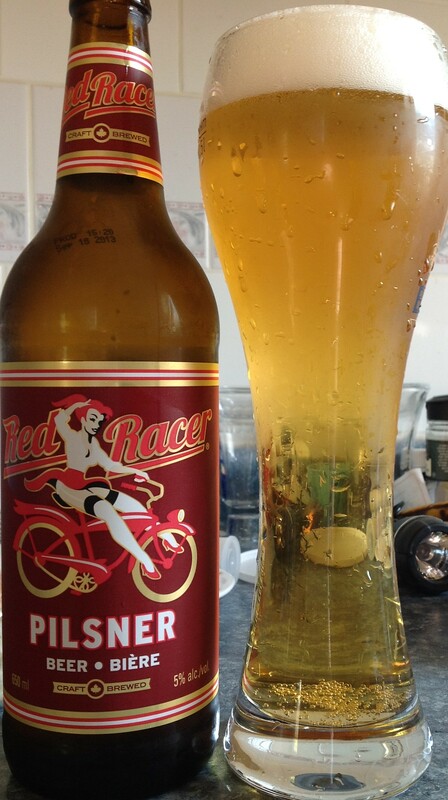 Red Racer’s Pilsner is crisp, refreshing and pours clear and tops with a nice head. This is about as light as I would ever drink but it is a great beer if a little hard to get out here. Recently Central City made waves in the USA buy getting into a legal battle with the famed Northern Californian brewer Bear Republic. Bear Republic has several IPA offerings that use a similar naming convention to the Red Racer line. So to all my American friends you will soon be able to find Central’s delicious Canadian brews under the Red Betty label. Just keep an eye out for ‘the one who got away’ you can’t miss her. You can also check my thoughts on Central City IIPA by scrolling down, it’s going to become a regular offering from Central City right away. Cheers!